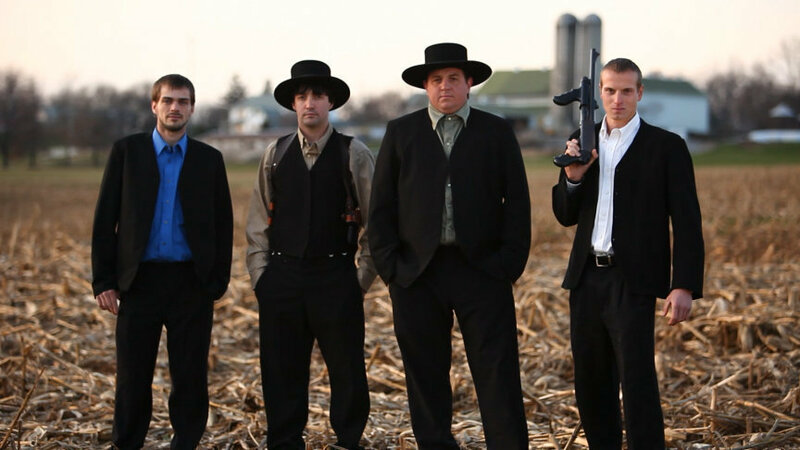 John, Alvin, Levi, Jolin – the subjects of “Amish Mafia.” Photo from the Discovery Channel. The two words together seem like an oxymoron. But, according to a new Discovery Channel show, they are not the oddest of pairings. “Amish Mafia” explores the world of Lebanon Levi and his gang of three men, Jolin, John and Alvin. Together, the four act as “protectors” of the Amish community in Lancaster. A graphic at the beginning of the episode states that the Amish church denies the group exists, but the camera crew appears to tell a different story through interviews and reenactments. Throughout the first episode, the mafia members drink, drive cars and gamble on cow pies. They blackmail bishops, threaten people and shoot up cars. “Levi is the cops. He’s the courthouse. He’s the bank and he’s the insurance company,” says Esther, John’s sister, during the series’ first episode, which is slated to premiere at 9 p.m. Dec. 12. A sneak peek of the show will air at 10:30 Dec. 11. The existence of an Amish mafia is news to Amish experts Donald Kraybill andDavid Weaver-Zercher, professors at Elizabethtown College and Messiah College, respectively. “When I first saw the trailer [for the show], I thought maybe it was a ‘Saturday Night Live’ skit on reality television because it was so far fetched,” Weaver-Zercher said. I have a love/hate relationship with Amish Mafia. They are real people re-enacting supposed true stories. I think it’s entertaining and realize it’s staged. What concerns me is outside of the Lancaster area, people will actually believe there is a mafia and seek them out in a hateful manner. Semi-automatic guns, drugs, drinking, prostitution, fist-fighting and more are portrayed as part of these real peoples lives when the reality is….it’s all fake. It is an entertaining show – it’s like watching a train wreck, you just can’t take your eyes off it. I have to admit, when I first heard of the show, it never really occurred to me that there would be people who believed it to be factually correct. I hope those people do find this article though and realize that there is no Amish mafia and the people portrayed are as Amish as you and I.